Drill weekend for KNFW for our local 301st FW Spads. 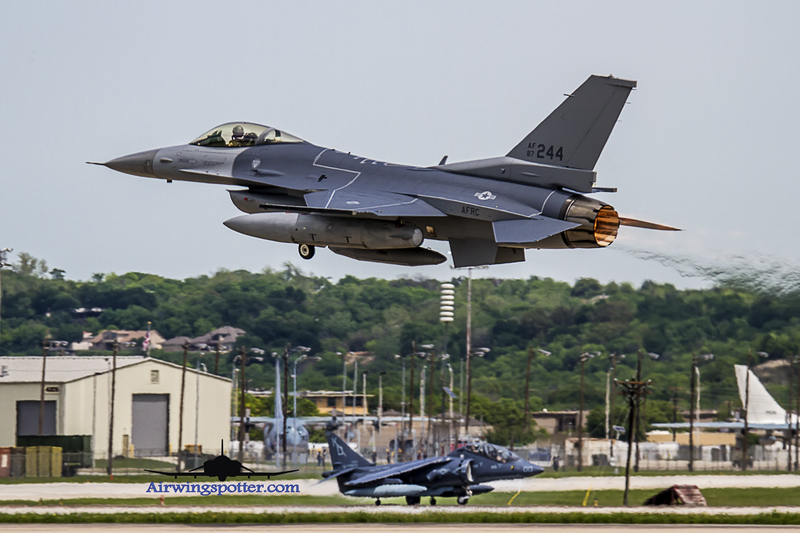 This weekend was like any Spring time traffic in NAS Ft worth. We got Spads 301st FW F-16 flying, Cowboys VMFA-112 F-18A++ , Lockheed Martin spot traffic of 2x F-35A from Luke AFB, F-35C from VFA-101, Iraqi F-16C Blk 52. We got some slow and steady Roper and Ranger C-130H and C-130J respectively. 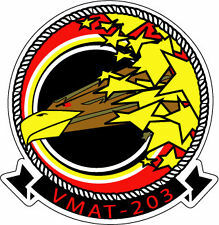 Best of all we got 4x TAV-8B from Marine Attack Training Squadron 203 (VMAT-203) Hawks visiting. They came in for gas and go . This article will detail on these unusual 2 seater Harrier jump jets. Manage to catch a Viper taking off while the Harrier was rolling on the taxiway. 4 of these beautiful 2 seater Harriers came in at about noon . 2 of them form up on taxiway C and D and took off at about 2pm This is followed by 2 more on Taxiway C. They all did a SVTOL take off on runway 36. Always great to have visitors and this day we have nothing but a great big smile as we see them jump off those runways.